Many business owners acknowledge the value and power of social media but they are also aware of the time it can take out of your day to maintain that presence. Over the years we have often heard, ‘I’m struggling to keep up with the activity and all the changes to the platforms – I need help!’ This is where we step in with our tailored social media support. Many of our clients fully embrace social media after we set up their accounts. It’s been terrific to see this. They join, initially having no idea what a hashtag is or a RT but after a Skype training session, the light-bulb flashes on and they’re set on their way, to the power of extending that reach further than local that social media offers. Because we are aware of our client’s needs, our business support services continue to evolve to ensure we are offering the support our clients require. There’s been a demand for social media support for a number of years now. The sort of support we encourage our client’s to engage us for, is to assist with creating tweets from “nuggets” found within their blog posts or articles and then scheduling a handful each day. These “nuggets” allow our clients to be seen as leaders in their industry offering their audience valuable information but it also frees them up to engage on their chosen social media platforms. After all, it is ‘social’ media and the key to relationship marketing and conversions, is building relationships! Write tweets from 1 x blog post each fortnight (usually 5-10). Add to the bank on approval. Rework one tweet per day to form a scheduled Facebook page, LinkedIn and Google+ post. Write tweets from ad-hoc blog posts (usually 5-10). Add to the bank (without client approval – they trust what we do!). Rework one tweet per day to form a scheduled LinkedIn and Facebook Profile & Page post. Write tweets from 1 x blog post each week (usually 5-10). Schedule 4 tweets per day. Rework one tweet per day to form a scheduled LinkedIn and Facebook Page post. Weekly Housekeeping (e.g. un-follow non-followers, stale accounts, etc). As you can see the support is customised to what the client feels they need and what suits their budget. Note: When we refer to the ‘bank’ this is simply a place to store all the created tweets of which can be recycled and repurposed in the future. These can be saved in whichever format the client prefers but we generally suggest a Google Spreadsheet where collaboration can take place with ease. 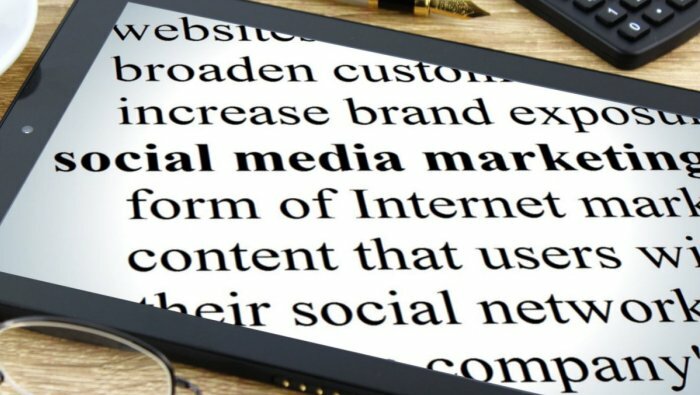 If you’re actively blogging for your business, the social media support we offer could be perfect to allow you to leverage your content further. It will also give you back more time to focus on building relationships in the virtual space. Contact us to learn more about creating tweets/posts from those nuggets found within your blog posts. You’d be amazed to know there are always more than just the headline tweet! Want help? Contact Us today.